In the early 1900s American psychology was still a modestly sized enterprise, but it was in a propitious position to advance, for it had a rich and diverse cache of intellectual ideas about mental life from which to draw that had been developed in the previous century. In addition, the young profession had ample room to locate in the ongoing expansion of colleges and universities, and could make contact with an engaging public interested in things “psychological.” Psychology did prosper within this climate. By the end of World War II the science had secured an influential place in American society and had created a host of subspecialties applicable to a myriad of intellectual and social problems. Thus, in less than half a century psychology had expanded rapidly in terms of scientific work, scope of subject matter, and practical utility. However, while increasing in number of practitioners and domains, the science drastically reduced the eclectic intellectual perspectives and methods that had been present at the century’s beginning. The intervening years, then, comprised first a flourishing followed by a diminution of the scientific possibilities for explaining and examining the human psyche and actions. The simultaneous growth in volume of work produced and the constriction of theories and methods is not explicable in terms of crucial discoveries or the creation of an optimum theory of the human mind. Rather, psychology’s bid to become a bona fide science and, hence, a legitimate and reliable instrument for assessing and regulating human life, required that the discipline attain a certain consensus among its practitioners over what counts as valid knowledge. Perhaps more important, the strong identification with scientific utility demanded that the discipline develop research techniques which could be used efficiently as well as effectively to calibrate and evaluate psychological phenomena. Consequently psychologists strove to generate knowledge that was useful to the administration of life, both private and public. Any account of the viable theories, schools, and systems of early-twentieth-century psychology must attend to the numerous forces (both internal and external to the science) that fostered the maturation of only a few credible perspectives and methodologies. The rise of a scientific, academic psychology, however, is not all of the story of psychology in America. A professional psychology also emerged outside of academic settings and eventually situated itself within the academy under the banner of clinical psychology. Further, psychology during the early years of the century became more than a professional occupation: among the middle class it came to be an exciting pastime and ultimately an important guide for personal life. If psychology at the turn of the century were to be depicted in terms of intellectual leadership, then several individuals would be needed to represent this pluralistic science. it would be accurately represented via the diverse works of Edward B. Titchener, William James, and G. Stanley Hall. Although all three psychologists shared a dedication to creating a scientific psychology, they differed significantly in what each meant by the word scientific and what the intellectual foundation of this “psychology” would be. Read more about Ideas Galore. The two decades between 1890 and 1910 constituted a crucial time for the professional foundation of psychology. Americans were coming to recognize the value of science, notably its apparent utility in enhancing commercial productivity and health. Science, including psychology, ultimately was portrayed as a practical pursuit, and American psychologists adopted this utilitarian attitude. The reformism of the progressive era held that experts were a necessary component in rectifying social injustices and aiding less fortunate members of society gain a healthier status. In terms of the management of these individuals, many social problems were deemed in need of psychological expertise. World War I provided a compelling case for psychologists’ involvement in social policy and a unique opportunity to demonstrate psychology’s scientific efficacy. 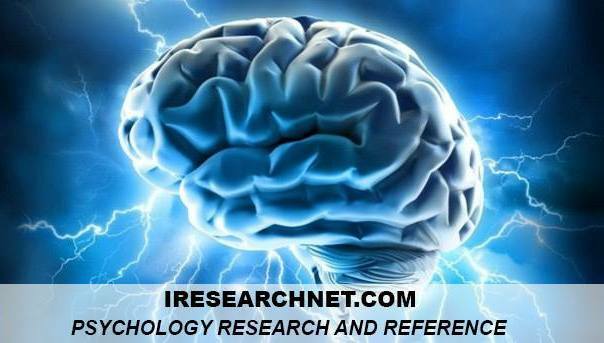 Read more about Psychology in Society. The laboratories being constructed in the early 1900s were critical to the science’s self-definition as well as its legitimacy as a field of intellectual inquiry. Predominant in the new laboratories were the techniques of what was later critically termed brass instrument psychology. These were the methods of experimental introspection where subjects are presented with standard, controlled situations (stimuli) and instructed to give readily quantifiable or classifiable responses. Developed in Germany by Wilhelm Wundt and brought to America by the students who trained with him, introspection set the climate of exacting, controlled, and replicable experiments, ideals that would endure in psychology after the method of introspection itself was abandoned. Read more about Methods of Inquiry. As psychological methods contracted in number and experimentation became a dominant mode of inquiry, a number of systematic models of psychology were being produced. In addition to what was being termed the structural (content of mental events) and functional (mental processes) perspectives, psychologists counted among their intellectual schools Gestalt psychology, psychoanalysis, holistic psychology, dynamic psychology, and behaviorism. Some of the schools had few adherents and a short life. Freudian psychoanalysis, for instance, was quickly rejected as unscientific as well as being overly attentive to unconscious processes and sexuality. Gestalt psychology, with its emphasis on the metaphysics of immediate mental experience (and not behavior), lack of exact measurements, and roots in German psychology, never quite found a home in the United States. Read more about Schools and Systems. Although behaviorism has diverse intellectual roots going back into the nineteenth century, the name John B. Watson (1878-1958) has become eponymous with the idea of behaviorism. Trained as an animal psychologist at the University of Chicago, Watson gave a series of lectures in 1913, which in its published form was to become known as the behaviorist manifesto. The manifesto rejected the study of consciousness as unscientific; it claimed that to be a natural science, psychology must be dedicated to the study of observable behaviors that represent the human organisms’ adjustments to their environment. Watson described a new psychology dependent upon the controlled conditions of the laboratory where responses could be predicted on the basis of the particular stimuli presented. Behaviorism, then, was grounded on the wholesale rejection of the idea that mental processes determine behavior along with affirmation of the notion that behavioral adaptations follow lawful patterns of acquisition and extinction. Habit and learning were the core foci of behaviorists’ observations. Read more about Behaviorism. The establishment and proliferation of mental testing seems scientifically and culturally at odds with the development of a functionalist perspective in general and behaviorism in particular. While mental testing is founded on the assumptions of relatively fixed mental abilities that differ in degree and kind among individuals, the functionalist proviso, with its focus on performance or adaptive action, eschews individual differences and abstract mental abilities. In some senses, these two programs do champion distinct models of human psychology, one highlighting the organism in its environment and the other fixing on the native content of the organism. However, in their modern form, these models shared intellectual origins in Darwinian Theory: functionalism represented the evolutionary theses of adaptation and selection, and individual differences assessment reflected the evolutionary notion of natural variation. Read more about Testing and Classifying. Behaviorism and mental testing provide ample evidence that by the early twentieth century there existed a genuinely American psychology—one that was rigorously scientific, expanding, and practical. Even the theoretical rift between these two movements, one championing function and the environment and the other emphasizing traits and biological determinism, was American in spirit. Early twentieth-century America provided unique opportunities for certain individuals to advance economically and socially while it simultaneously maintained racist and class divisions in lifestyle. American psychology, despite the near-hegemony of its theories and methods, nevertheless was becoming a heterogeneous discipline, one that was “generous” (Rose. 1992) in that it could be appropriated and used by other professionals and organizations and used in whatever way suited their objective for human conduct. In addition to the ideology of its scientific theories, psychology was becoming diversified in another sense by the creation of specialties or subdisciplines within the field. By the end of World War II, most psychologists identified themselves with one of these subdisciplines: social psychology, abnormal psychology, developmental psychology, educational psychology, personality, or sensation and perception. In 1945, the American Psychological Association formally recognized this professional pattern of 19 divisions representing the various specialties. Another feature in the professional maturation of psychology was the development of clinical psychology, a subfield devoted to the diagnosis and treatment of mental illness. During the first two decades of the twentieth century, many psychologists who considered themselves experimentalists also engaged in the study and treatment of psychological problems. By the end of the nineteenth century, medically trained psychiatrists were abandoning organic theories of mental illness in favor of psychological-based theories, including those being proposed by Pierre Janet (1859-1947) and Sigmund Freud (1856-1939). This theory transition opened the way for the new experimental psychologists to conduct studies on the mentally ill as well as with delinquents and troubled children. 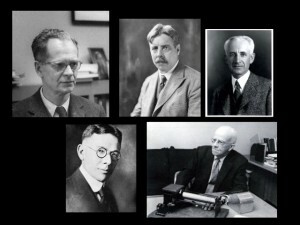 With the creation of varied psychotherapeutic theories and techniques, psychologists also became involved in their development and evaluation. Despite the fact that much of this early involvement included noted experimentalists, including Yerkes and Watson, there existed an uneasy tension between psychologists committed to laboratory psychology and those devoted to applied psychology or psychotherapy. In 1937 the American Association of Applied Psychology was created to serve the professional needs of clinical psychologists and shortly thereafter the APA made organizational adjustments to accommodate these psychologists. Hilgard, E. R (1987). Psychology in America. San Diego, CA: Harcourt Brace Jovanovich. James, W. (1950). Principles of psychology. New York: Dover. Leahey, T. H. (1997). A history of psychology: Currents in psychological thought (4th ed.). Upper Saddle River, NJ: Prentice Hall. Morawski, J. G. (1982). Assessing psychology’s moral heritage through our neglected utopias. American Psychologist, 37: 1082-1095. O’Donnell, J. M. (1985). The origins of behaviorism: American psychology, 1870-1920. New York: New York University Press. Pfister, J. . & Schnog, N. (Eds.). (1997). Inventing the psychological: Toward a cultural history of emotional life in America. New Haven, CT: Yale University Press. Rose, N. (1992). Engineering the human soul: Analyzing psychological expertise. Science in Context, 5: 351-372. Sokal. M. M. (Ed.). (1987). Psychological testing and American society, 1890-1930. New Brunswick, NJ: Rutgers University Press. Yerkes, R. M. (1911). Introduction to psychology. New York: Henry Holt.